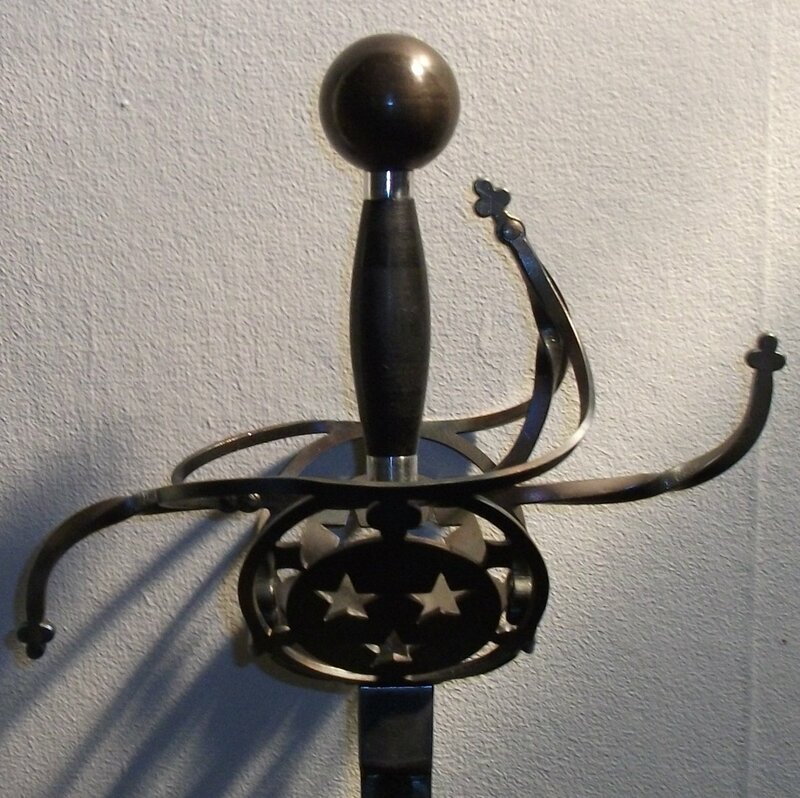 The following swept hilt models are variations on what is known as a Pappenheimer which is an early type of swept hilt. 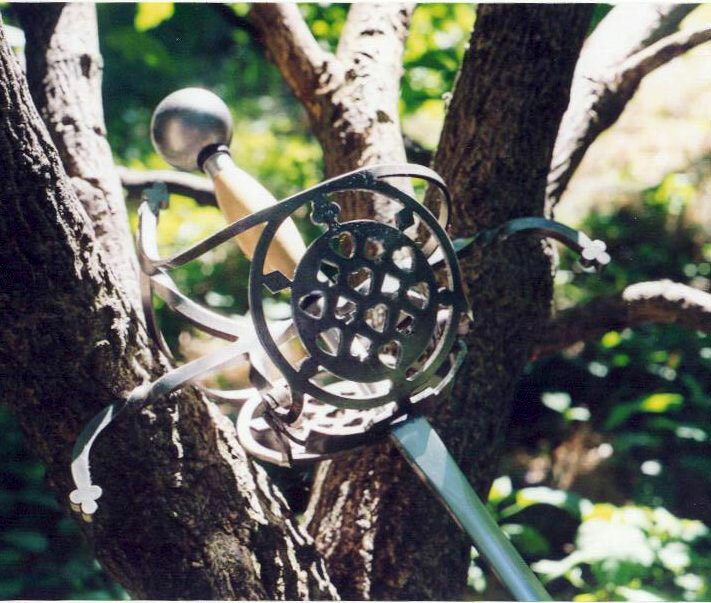 These all have a knuckle guard, a pair of pierced shell guards protecting the ricasso, and swept arms connecting the shells to the knuckle and cross guard. 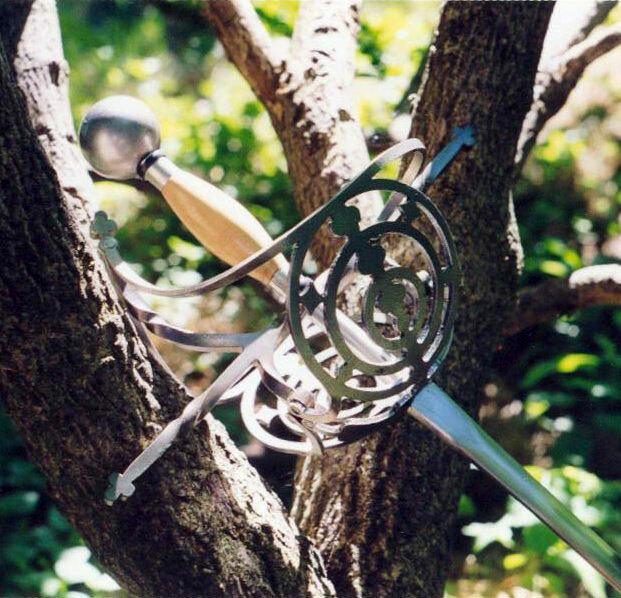 Guards are available in two lengths and may be ordered straight, curved forward (C shaped), or serpentine (S shaped (with the upper arm curved forward and the lower arm curved back to follow the knuckle guard)). To the left is an example of our "Pappenheimer" model with the long (11 3/4") serpentine (S shaped) guard, in the factory blue black finish. 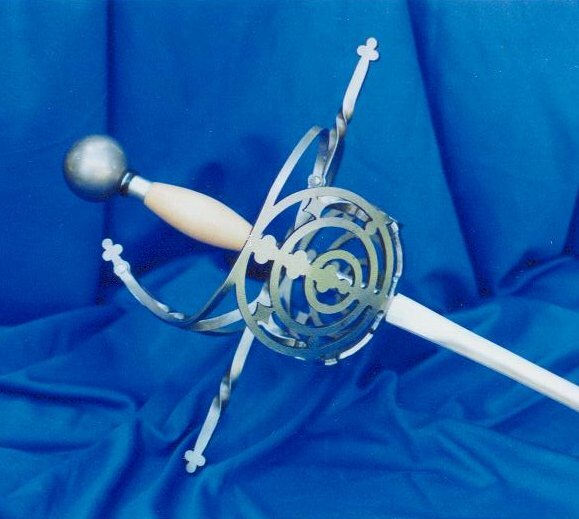 This model has a pierce work design identical to that seen on a rapier in the Collection of the Cleveland Museum Of Art. 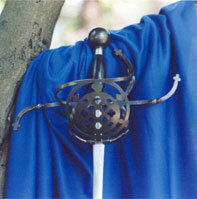 This design is also available on our side ring and main gauche dagger hilts. To the left is an example of our star model with the long (11 3/4") serpentine (S shaped) guard, in the factory blue black finish. Please note: If not specified, the defaults are Pappenheimer, gray, 10", straight. 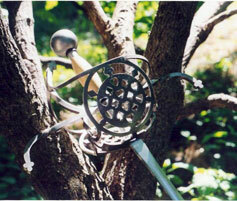 stiffness (see the Long Blades page for examples). Please note: If not specified, the defaults are 36", Medium stiffness.